How does the flood protection barrier FLOODSTOP work? The majority of FLOODSTOP units (pods) actually fill with the rising flood water. 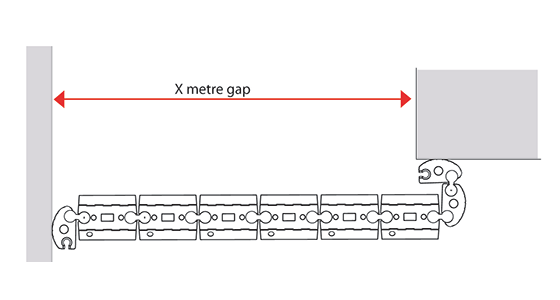 This, combined with the weighted connections keys, means that an assembled barrier will always be denser than the flood water. Each flood protection pod incorporates a unique foam gasket base. When the foam gasket is placed under pressure by the self-filling units a seal with the ground is created. The beauty of this patented flood protection system is that no bolting to the ground is required. It also means that when the flood waters recede, the pods empty themselves and become light enough to be carried away. 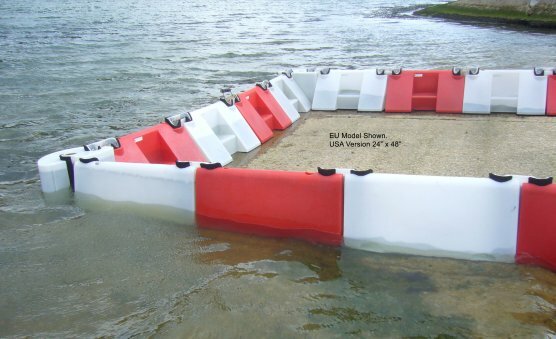 They are also a much more cost effective and reliable alternative to flood sandbags.